Feel even closer to the people, places and things you be with. A new way to share your memories and moments in time with a fun, lifelike dimension. 3D photos bring scenes to life with depth and movement. We want your 3D photo pictures to look great, and the first step for it is to pick a great 2D photo! Some photos take better advantage of 3D effects- here are a few hints to help you choose a pic that will bring eye-popping results. What works best are photos where the objects are distinct and contrasting. At the same time, the background shouldn’t be too complicated – something uniform like a road, sky, beach or plain wall works great with vertical photos. By combining a depth map and face detection, we can blur out distant objects and backgrounds from your chosen 2D photo, mimicking a ‘bokeh’ or depth of field effect, which is well known from DSLRs cameras. And you can get that quality from us from any of your 2D photos. Whenever possible, use pictures where the foreground is more brightly lit than the background. That would make the subject pop out from its surroundings. A proper forefront brighter than the environment will give a 3D effect to the photo. If you have inquiries about a photo, remember that our specialists are standing by just to help you! 3D photo prints at CanvasChamp are crafted using the latest technology and the rare materials. You get a stunning three-dimensional replication in a quality frame that can last for five decades. Custom 3D photo prints are the answers for amazing heirloom relics. Please also note that we are can’t offer a preview of this product due to its unusual visual nature. Also, keep in mind that all CanvasChamp products carry a 100% money-back guarantee. Now you can create a spectacular 3D picture from any photo! These elegant 3D personalised photo frames look beautiful and last for fifty years or more. Our custom 3D photo printing process presents a crisp 3D image that seems to float in a contemporary black frame. They are a unique choice for any occasion. How about a personalised 3D gift for the person who means a lot to you? 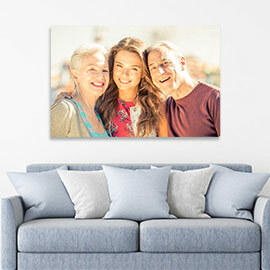 Customised 3D photo prints make a striking accessory to any room or an attractive decoration for any office. Use our photo design tool to create your 3D photo today! A 3D photograph with a feeling of depth and perspective is much more engaging and exciting. One of the significant challenges in photography is to bring a sense of gravity to your images, giving a two-dimensional image a real three-dimensional feel. Not only does this produce a more exciting and intriguing picture, but it also involves the viewer more, inviting them to examine the scene rather than observe it. 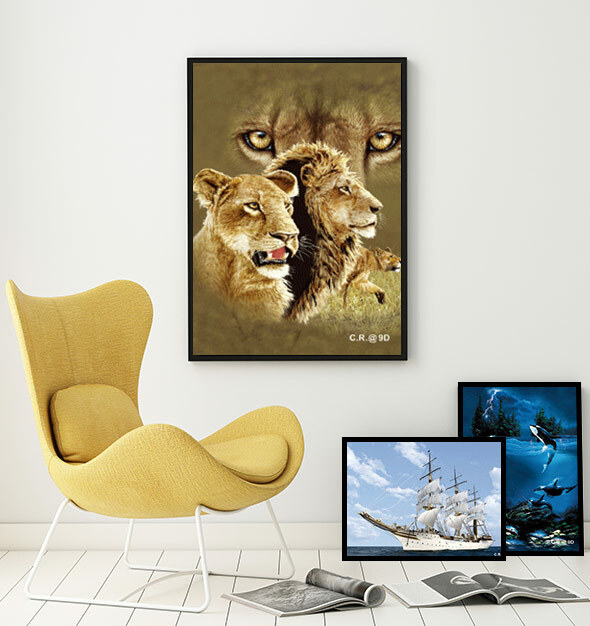 With sizes up to 24”x24”, thick and durable frames on it would make it look even more significant in any room. 3D picture frames are a genuinely different expression for your memories. New printing technology is making 3D images more and more affordable for any homes now. 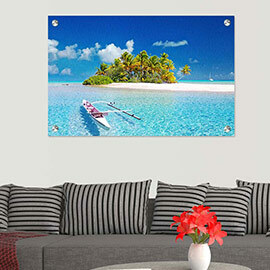 We print lenticularly on high0quality 3D PET sheets with a stylish frame on your custom image. It gives your pictures a light effect due to 3D. Edge band protection intends these heirloom-quality images are as sturdy as they are lovely. Waterproof and washable, your memories are more than secure – and impressive with our 3D printing technology. 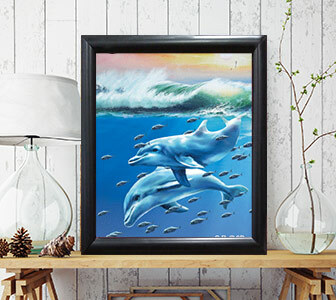 You won’t believe your heart when you see your photos reproduced in a beautiful 24-inch 3D photo frame! 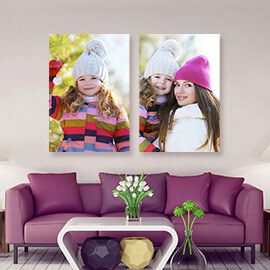 Since digital 3D photo frames highlight a 75-80° visual angle, you’ll be astonished at how the image processes its 3D look from near and far, or at virtually any corner. Your photos will seem alive! A sleek black frame looks excellent anywhere too! Convert any photo into a spellbinding image you and your guests won’t soon forget. We can make any photo from subtle to spectacular with custom 3D printing. 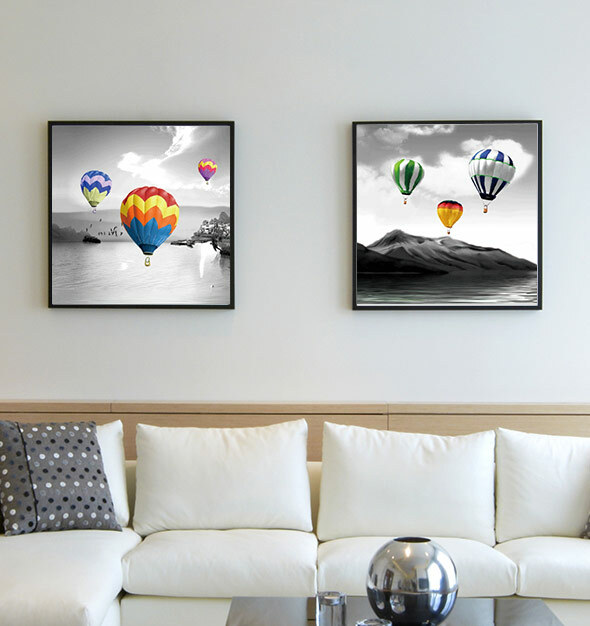 Your photographs will have a new look with a remarkable 3D finish, set off by a black satin-like frame. 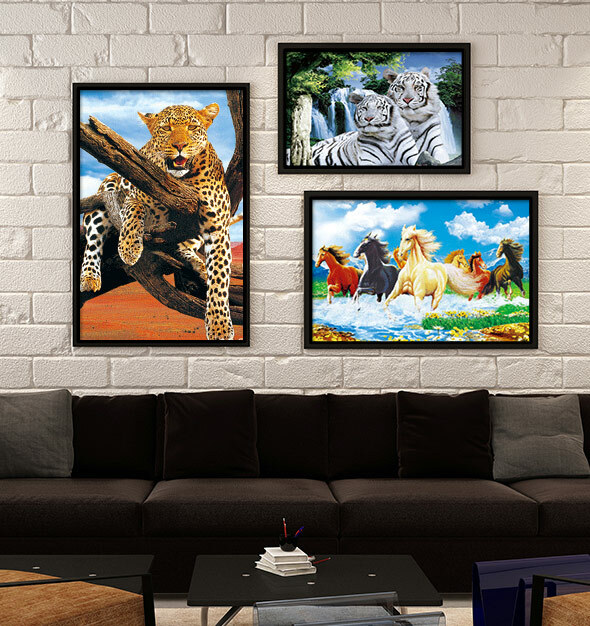 3D photo frames add a stylish touch to any room in your home or office, and they give new animation to any photo or art. Ever feel like your photos on the walls are fading into the woodwork? Get your walls a new spark with 3D photo frames in black frames! When you see the phenomena of a custom 3D picture frame, you’ll have only one question: Which photo should I choose for a 3D look? The breaking news is that 3D printing is pretty affordable – you can have an array of stunning 3D images in your home or office! At an excellent price too! Which picture wouldn’t look better, more alluring, floating in a beautiful black frame in three dimensions effect? Any image would make a lovely 3D print! Throw those old and worn photo shoeboxes away! You’ve never seen your pictures look like this! Your photos just got a new chartered life with digital 3D printing. Visitors coming to your home will be amazed at the hypnotic power of three dimensions effect when your images are displayed. 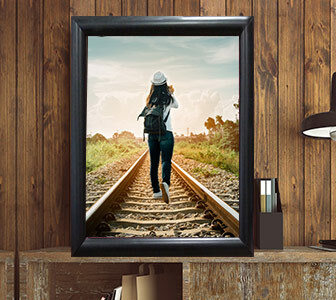 You’ll also love the way frames on a 3D photo would look in your home, and you’ll enjoy how easy they are to clean and keep. These water-proof frames stay perfect for fifty years or even more! Bring your old photos into the 21st-century era– in dazzling 3D! What makes a good gift great? Personalised? Ever-lasting? Exciting? Customised 3D photos are all those things, and even more! 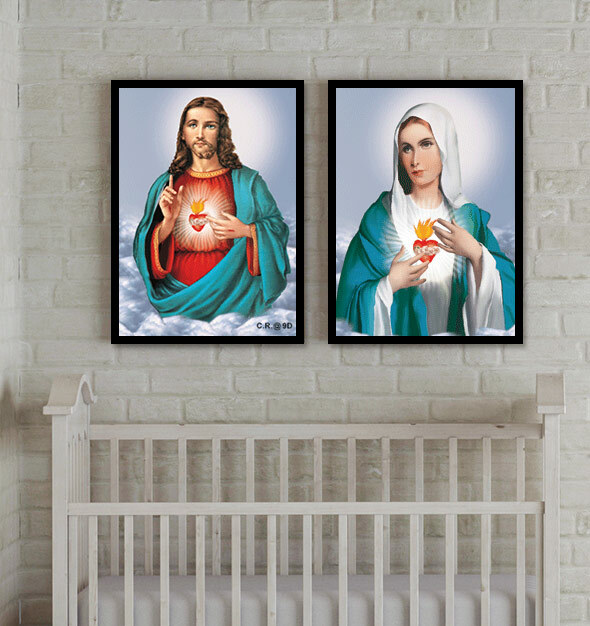 Lovely black framed 3D pictures make great memorials for special occasions, gifts for those hard-to-buy-for relatives. 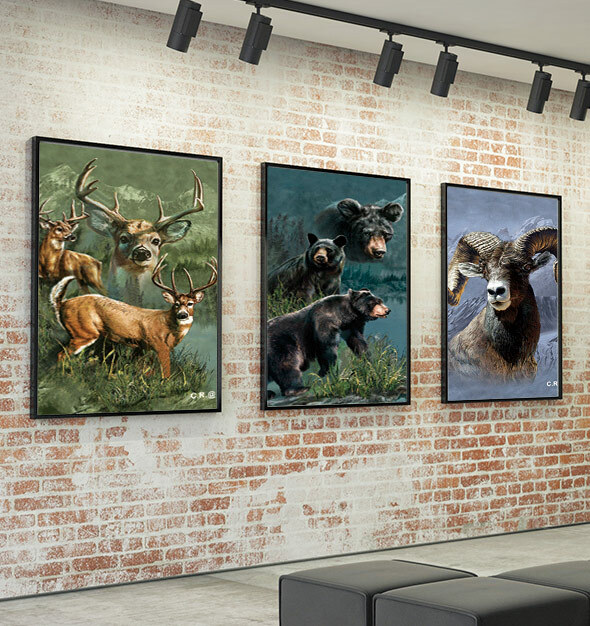 With our reliable, heavily constructed and a sensational 3D image, your friends and co-workers will enjoy 3D photo frames for years to come by. 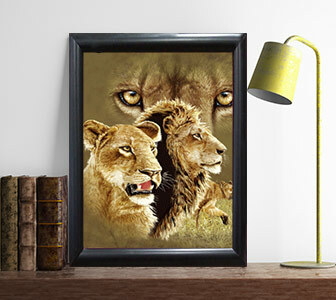 3D photos look great on a coffee table, on a desk, on walls or even in a trophy showcase. Make your next gift a beautiful 3D photo frame!